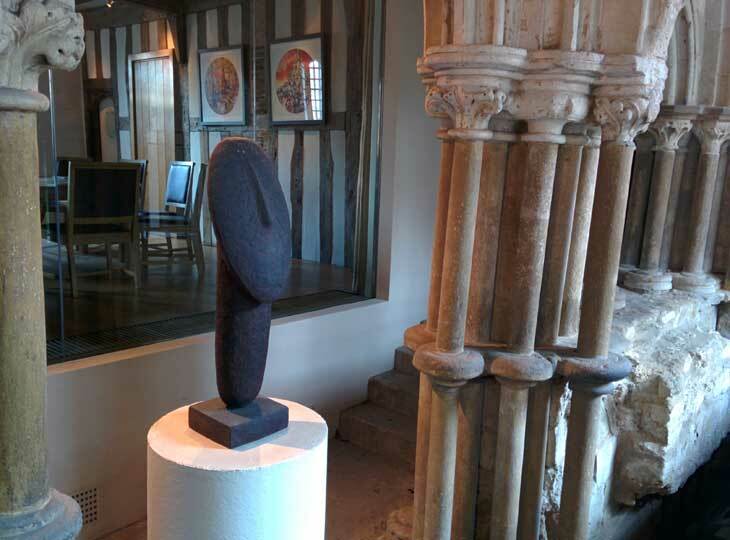 I’m very fortunate to work in a Cambridge college with an exceptional art collection: each morning my walk into the office takes me under a relief by Eric Gill (Deus Providebit, 1930), then past bronzes by Eduardo Paolozzi (Daedalus on Wheels, 1994) and William Turnbull (Head, 1987). 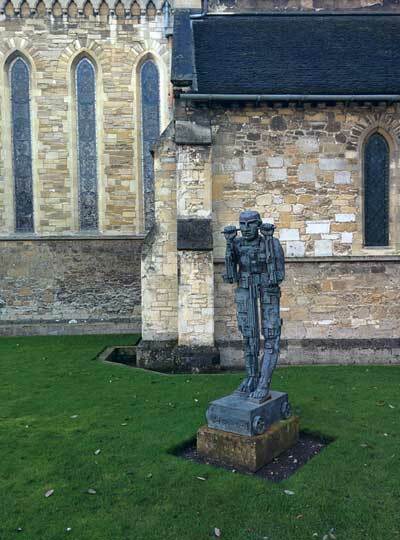 It seems likely that at some unconscious level I’ve chosen a path that wends past my favourite pieces, but Jesus College is home to a huge number of sculptures, paintings, and works on paper, and it would be impossible to plan a route that didn’t include one or two gems like these. Some works of art are available for borrowing by students and fellows. Above my computer is a numbered print of Richard Hamilton’s The Critic Laughs (1968) on loan from the college. It depicts Hamilton’s sculpture of a set of false teeth perched on the handle of an electric toothbrush. I like to think it reminds me not to be too self-important or sententious in my writing: criticism is serious work, but it should also be about increasing pleasure, pricking complacency, and revealing the unexpected connections between things. The Hamilton print does all of that, even if — like most critics — I don’t always live up to its example. 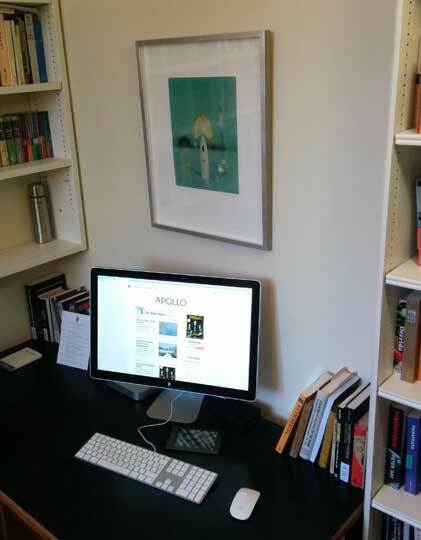 Two other pieces on the walls are more closely connected to my interest in modernity: an offset print of an electricity pylon by Theo Simpson and Ben Mclaughlin, and a small, labyrinthine linocut of Alfred Hitchcock by my friend, the illustrator and author Nick Hayes. The pylon has occasionally become a talking point for students: it’s not an obvious subject for an artwork, which makes it an ideal place to start a conversation about how our assumptions about cultural value change over time, and how those assumptions are often shaped by interactions between art and technology. Sometimes I work from home, where some rather different pictures keep me company: a small painting in oils (The Spy, 2010) by the Cornish painter Andrew Lanyon, which I bought from an exhibition at Kettle’s Yard a few years ago, and a Shell poster from the mid-1930s with an image by Tristram Hillier of the now-demolished Medway landmark Jezreel’s Temple. The latter comes from a series of works commissioned by Shell from outstanding artists such as Hillier, Paul Nash, and Edward Bawden, and seems to me a good example of how, given will and foresight, art can flourish beyond the small circle of galleries, collectors, and museums. Whether I’m teaching undergraduates in my office or writing at home, it’s a privilege to share a space with these objects. They make me more conscious every day of how art can make the places where we live more interesting, and the places where we work more liveable. 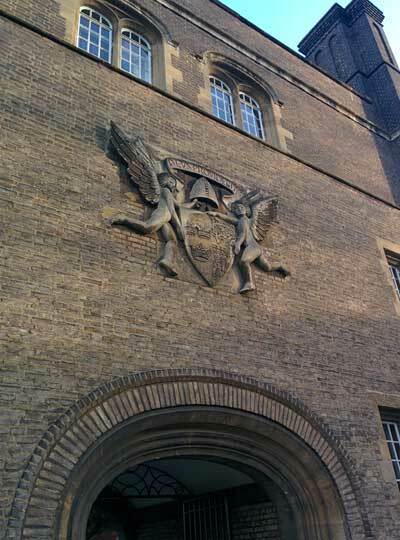 James Purdon is a research fellow at Jesus College, Cambridge.